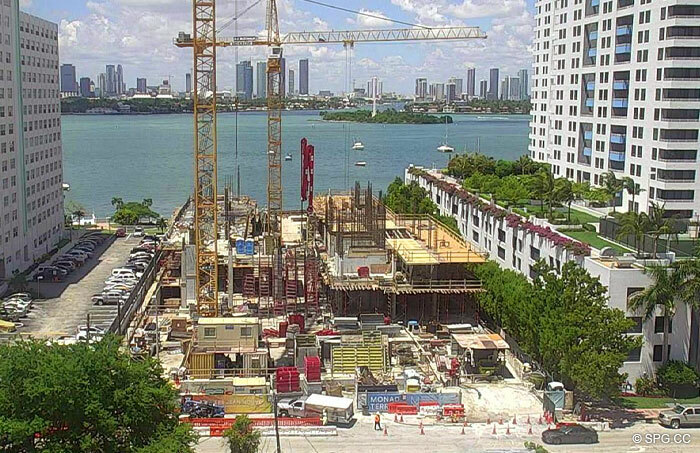 After breaking ground a year ago, Jean Nouvel’s striking Monad Terrace has begun its vertical ascent in Miami Beach. 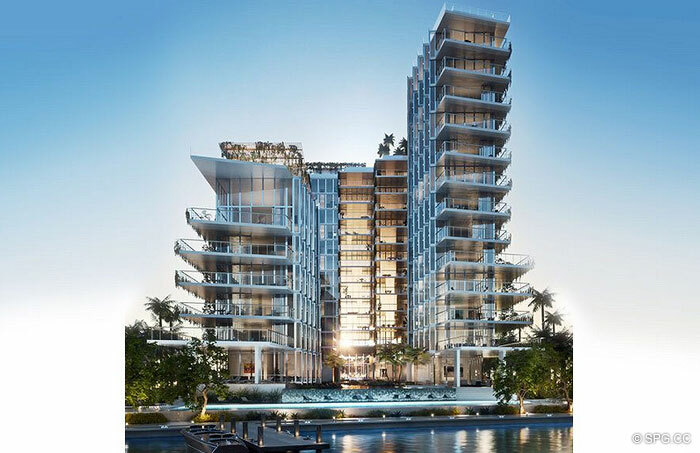 Monad Terrace will offer a sharp contrast to luxury high-rise condo living with its expertly-crafted, unobtrusive, mid-rise, nature-inspired design. Pritzker Prize-winning architect Jean Nouvel’s inspiration for Monad Terrace revolves around a singular point-of-view. 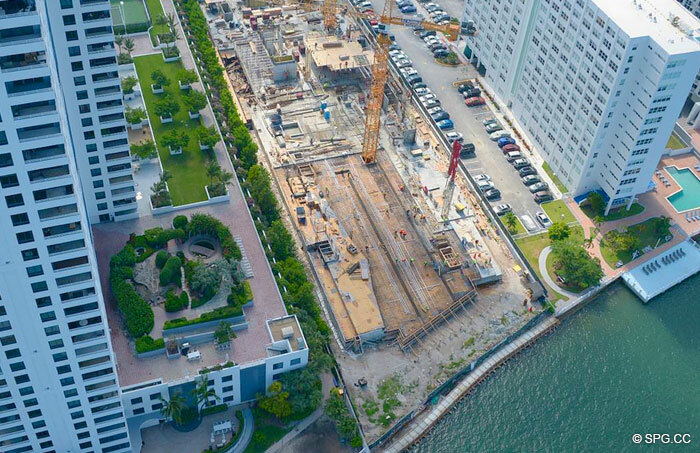 “Monad Terrace’s design identity lies in reflectivity, stemming from the building’s prime spot on Miami’s Biscayne Bay and the way the sun hits the water.” Monad Terrace is composed of two mid-rise towers and 59 individually designed waterfront residences surrounding a glittering man-made lagoon; directly on the shore of Biscayne Bay. 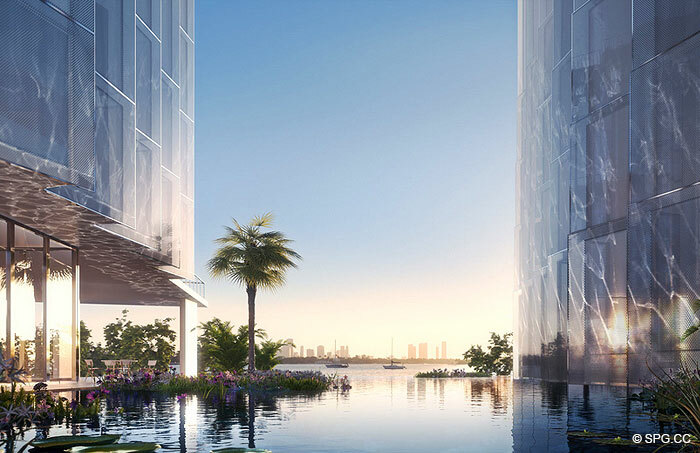 Nouvel masterfully directs the play of reflections and water throughout the project, bouncing light into the lobby and living spaces, while the lagoon and swimming pool draw the feeling of Biscayne Bay deep into the heart of the property. Monad Terrace utilizes a unique honeycomb saw-tooth facade designed to capture, diffuse, and reflect incoming light, while simultaneously framing views and providing privacy to its residents. When viewed from an oblique angle, the screens built into the faceted glass walls become opaque. When viewed head on, these same screens become transparent—adding sparkle and luminosity to every interior space. The spectacular building is currently scheduled for completion in the third quarter of 2019. If you are interesting in living at this exceptional address, contact your new construction expert, award-winning global real estate advisor, Niki Higgins today.